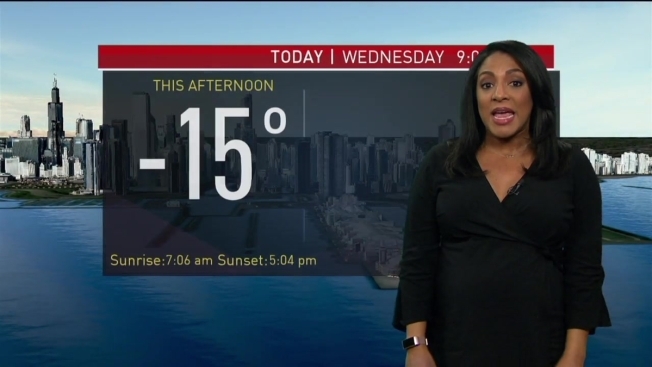 The dangerous cold descending on Chicago this week could bring the coldest temperatures ever recorded in the city. But just how cold will that be? Temperatures are expected to fall during the later afternoon and early evening hours Tuesday, plummeting to -18 in the city and near -25 inland by dawn Wednesday. Wind chill values will be even lower, making for life-threatening conditions. Lows between-20 and -30 degrees are possible overnight Wednesday and into Thursday morning, potentially becoming the lowest temperature since the city began tracking weather data in 1871. The coldest low temperature the city has ever seen was -27 degrees, which happened on Jan. 20, 1985. The overnight low for Wednesday into Thursday could break that record, marking the coldest temperature ever recorded in Chicago.